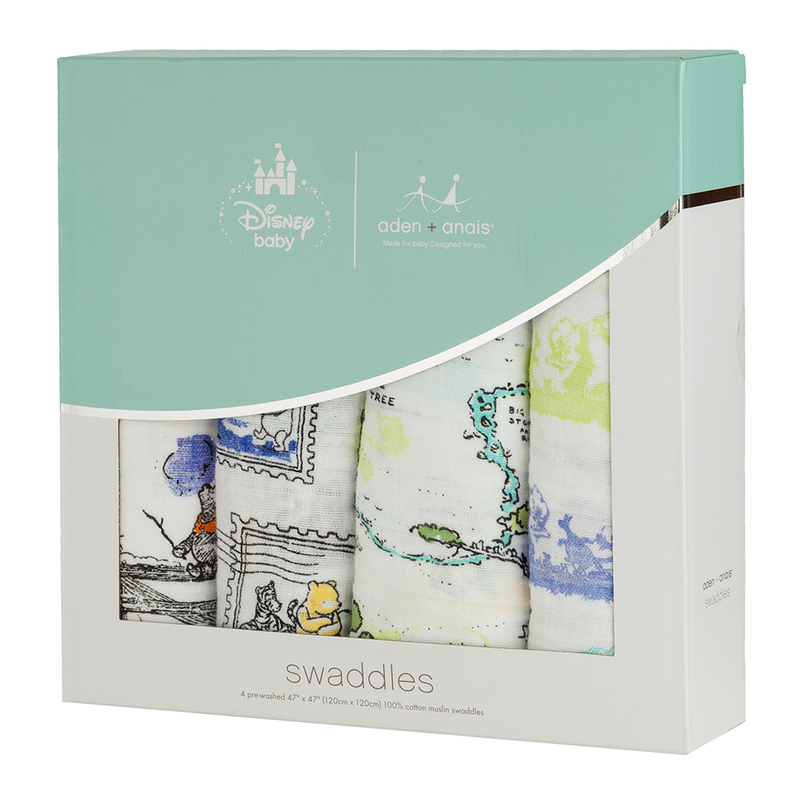 It took an Australian, Reagan Maya-Jones to introduce the first muslin swaddle blanket to the USA in 2006 and her company Aden & Anais has been going strong ever since with its cool wraps for babies. Maya-Jones grew up in Australia where muslin swaddles are a necessity for our hot climate and so soft they can’t irritate even the most sensitive baby’s skin. When she relocated to the States and started having babies of her own, she couldn't find muslin wraps so she set about producing some. These Winnie The Pooh themed set of four bring a fun and lightness to the nursery. Your little one will love the bright colours and the big smiles on the characters’ faces that are just as comforting as being wrapped in super soft muslin. Award winning design, in the USA. Versatile – as well as a baby wrap, use them as a stroller cover, burp cloth.or nursing cover. Muslin is pre-washed, so it’s super soft from the start. Includes diagrams on the best way of wrapping baby. Presented in a boxed pack of four with different Winnie The Pooh scenes. Pack Contents: 4 x 120cm (l) x 120cm (w) x swaddles.